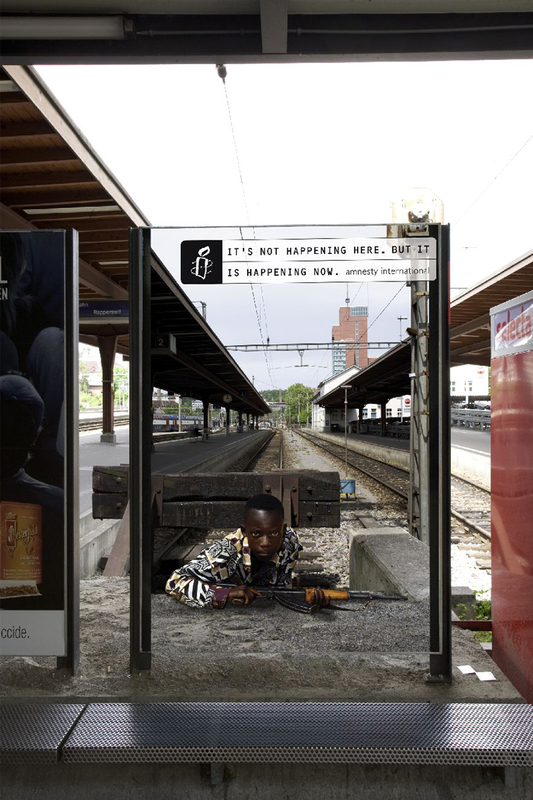 ‘It’s not happening here. 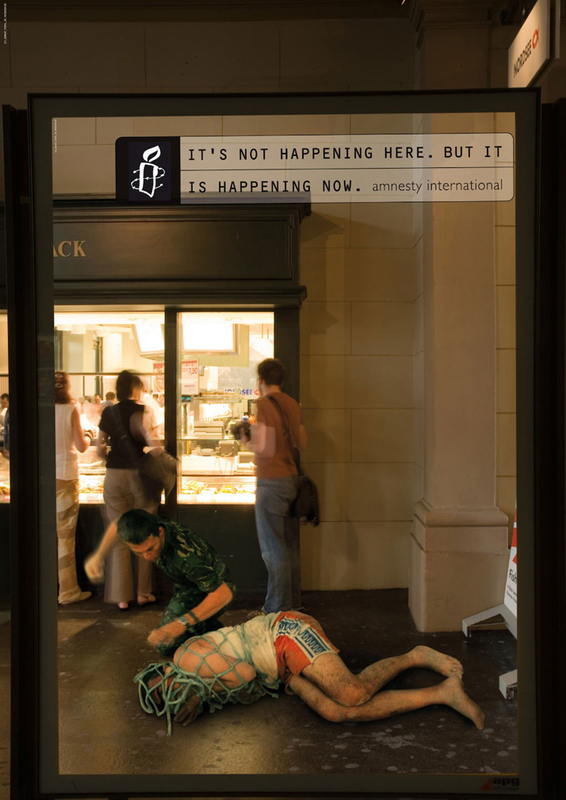 But it’s happening now. 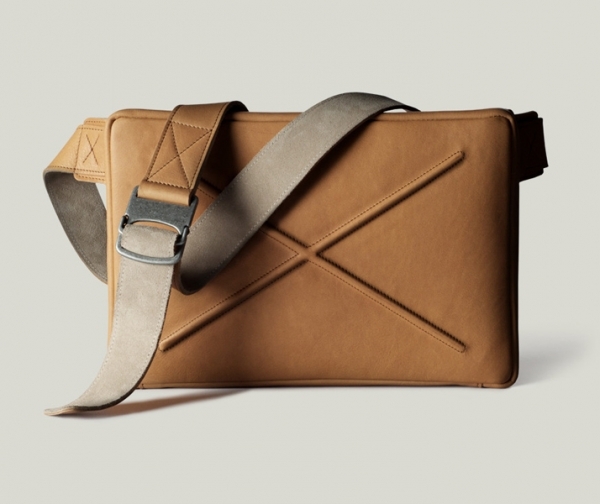 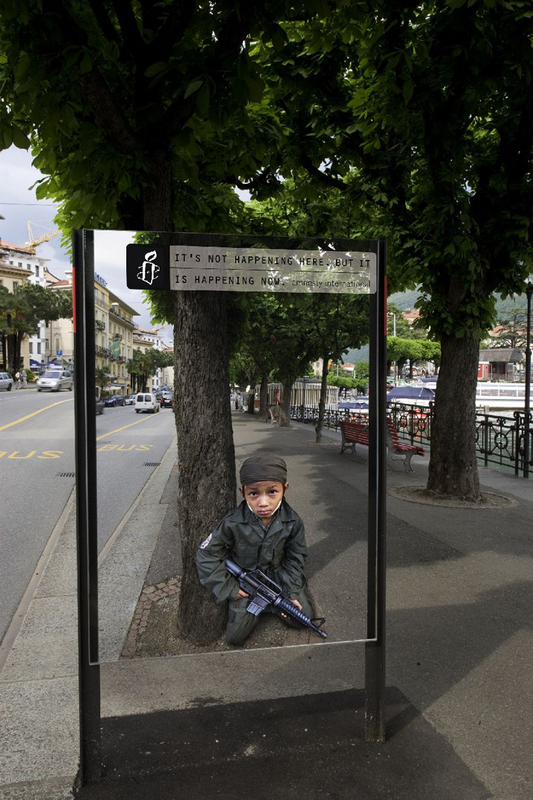 The stunning campaign for Amnesty Int. 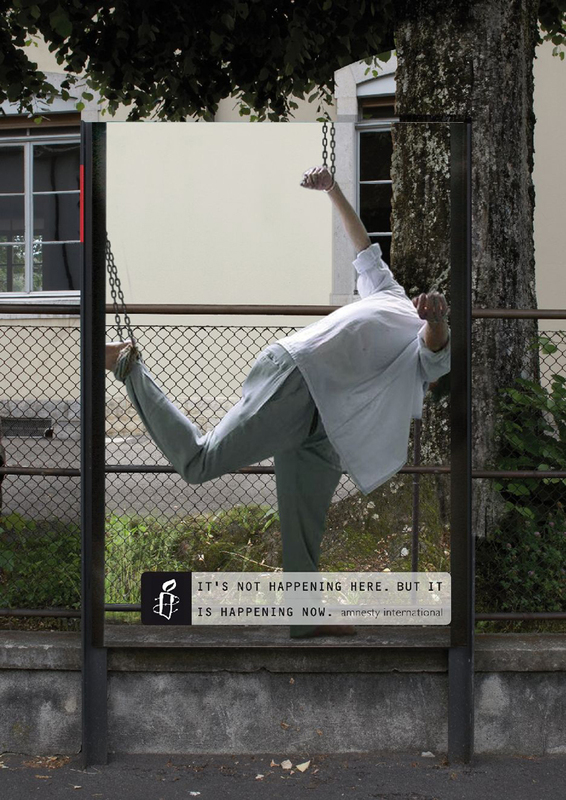 The campaign by Walker Agency demonstrates how human rights violations take place every day, just a few flying hours away. 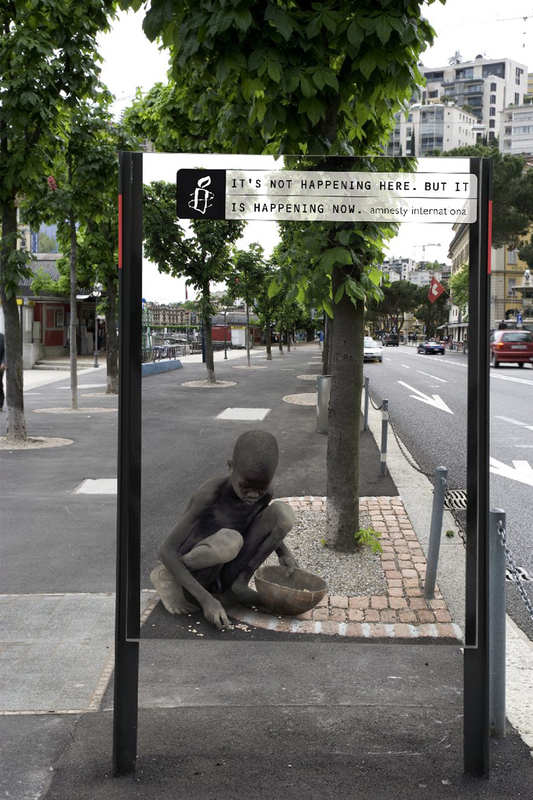 The aim was to sensitize people to the issues of human rights and to stimulate debate. 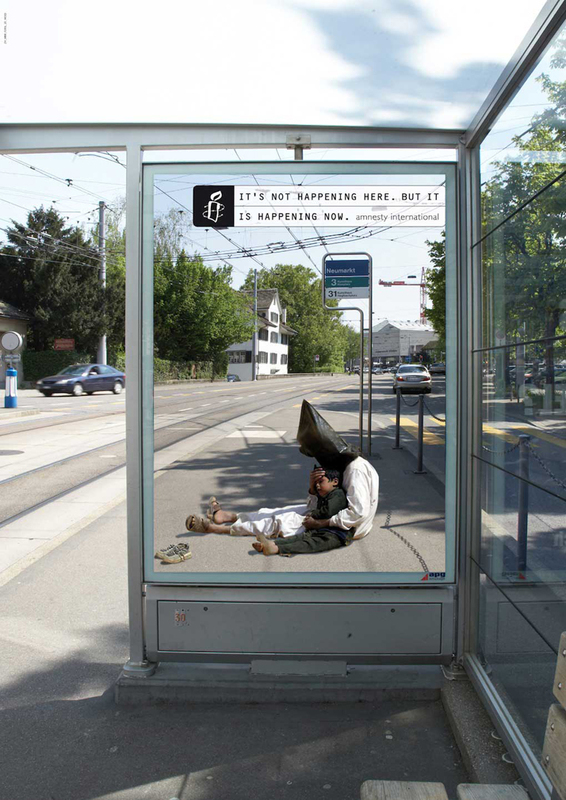 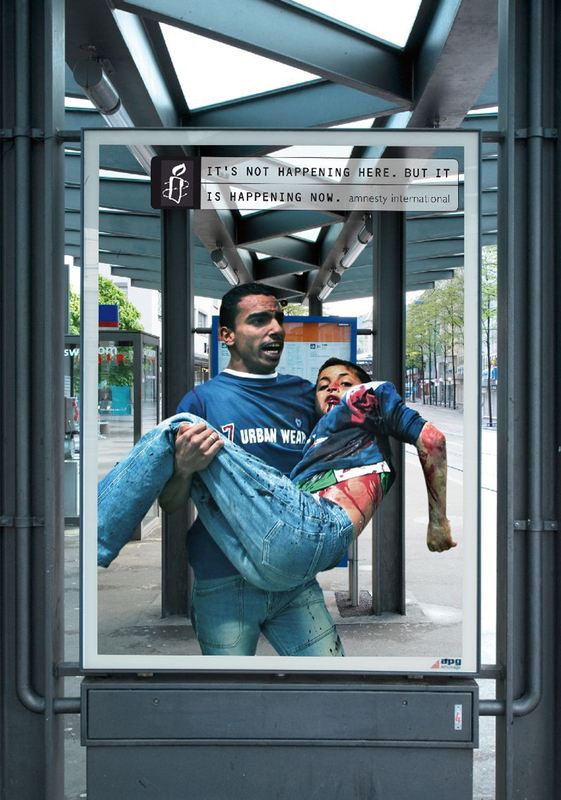 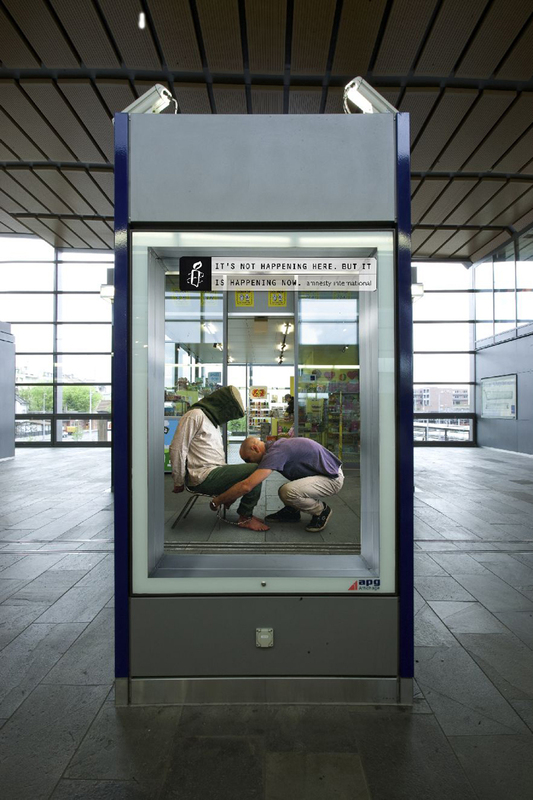 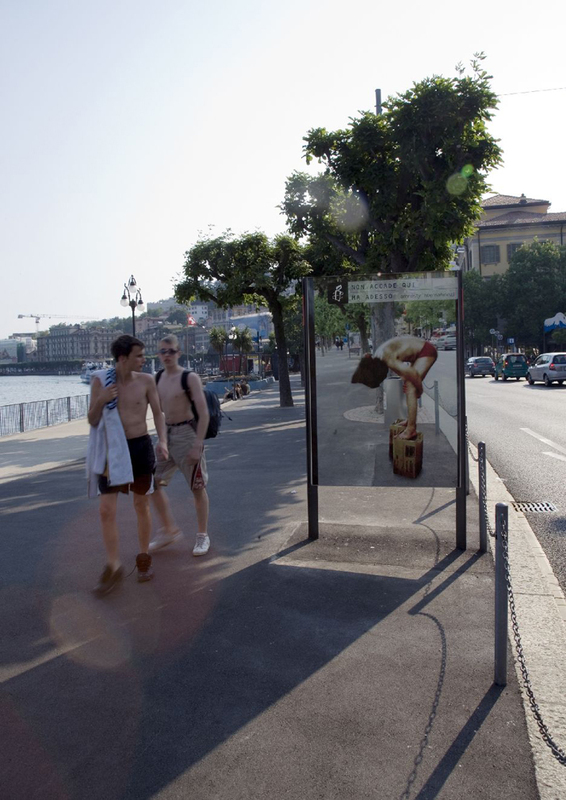 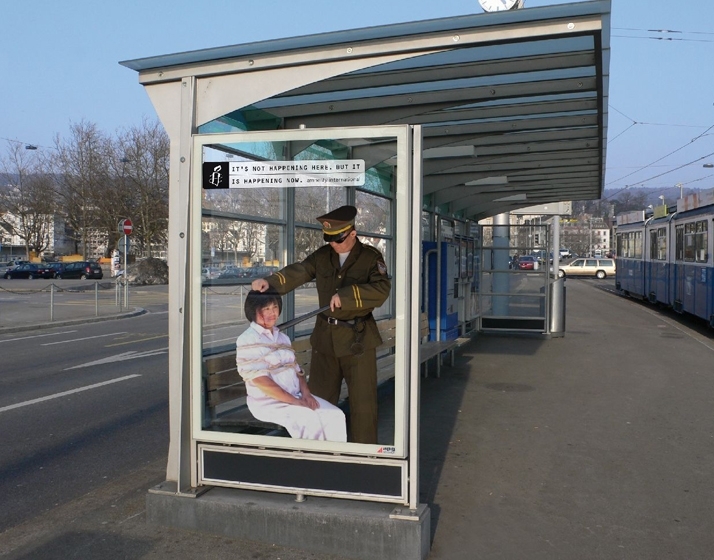 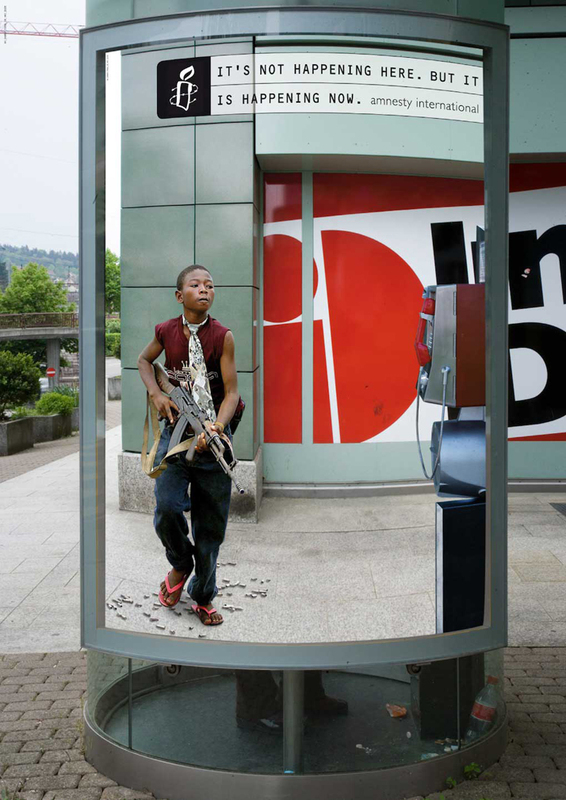 The poster campaign brought the shocking truth about global human rights violations directly to the Swiss people. 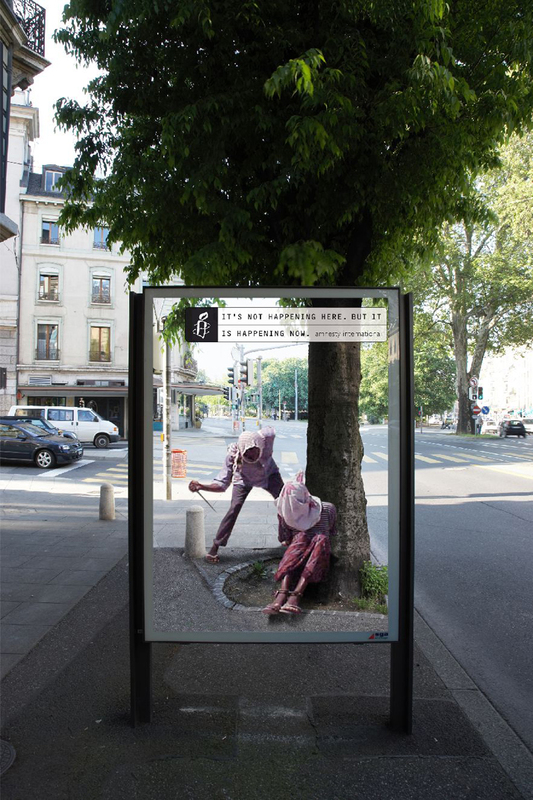 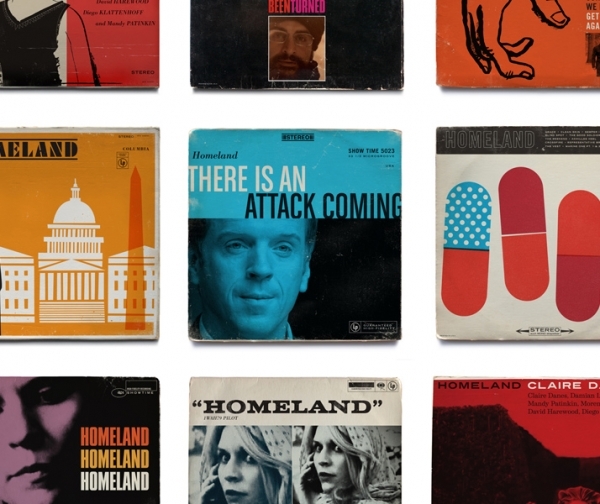 200 posters, tailor-made to match their environments, created the illusion of two worlds colliding. 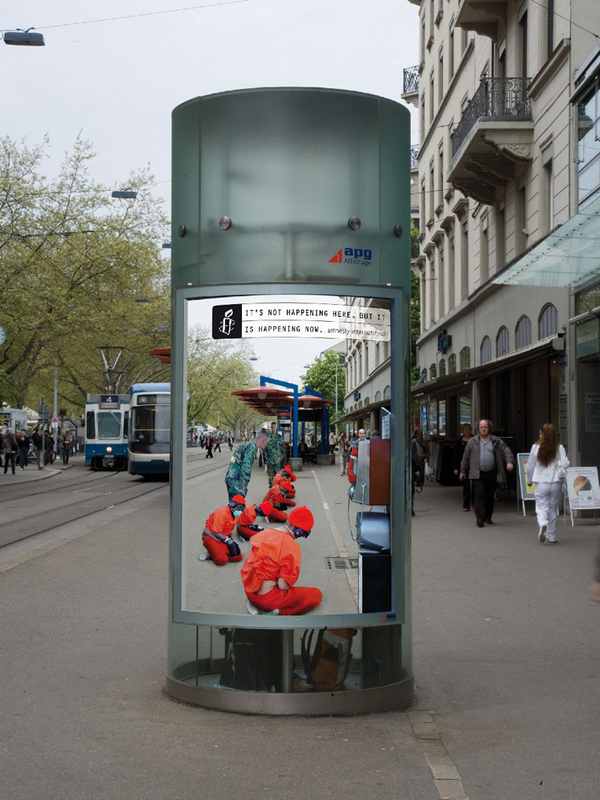 For example, we see brutal scenes straight out of Guantanamo taking place right in the middle of Zurich.